On the evening of Feb. 15 Loyola University Chicago‘s Athletic Department screened an ESPN produced documentary on Loyola’s 1963 NCAA Men’s Basketball Champions. Titled “Game of Change,” this film chronicles the team’s game against Mississippi State University and their victory in the championship game against Cincinnati. 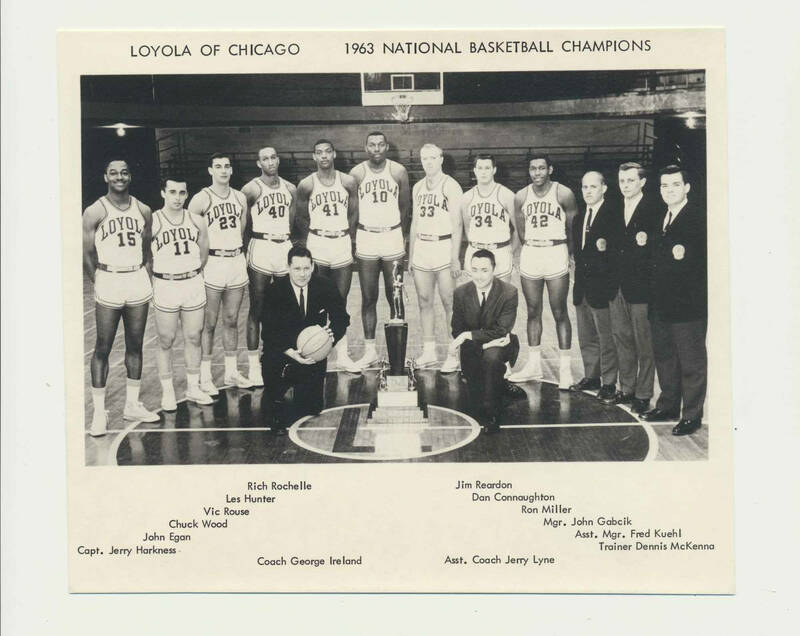 Loyola’s 1963 men’s basketball team makes not only college basketball history but national history, by having four out of the five starting players be of African-American descent. A catalyst for racial change in college athletics, click through to look back at their victorious season and a glimpse of their presence at the documentary screening. George Ireland (bottom left) was the head coach of the men's basketball team at Loyola University Chicago. He was known to the players on the team as "the Man."